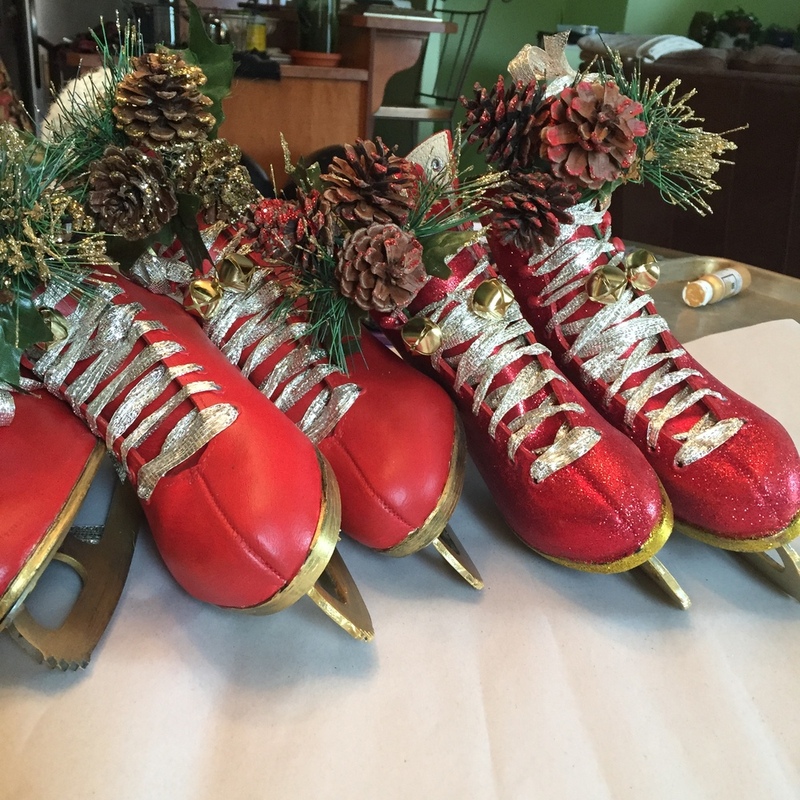 Fusion Mineral Paint in Fort York Red is the perfect red for these skates I recently did for a Christmas Market in Kelowna. These were so popular I'm going to be running a two part workshop at 1:30 on Saturday Nov 28 and Sunday Nov 29th so you can make your own! You supply the skates and for $39.99, We supply the how-to's, the paint for the boots and the blades, fancy ribbon for the laces, the material so you can make the mock sock trim and the pretty floral pic to poke out the tops. If you want to glitter I'll provide that too! And what winter crafting is complete without hot chocolate! I hope you can join us! Please select the button to learn more and register. Newer PostWhat can you paint with a Fusion Mineral Paint 37ml sample pot?